Every summer I love to entertain. Whether it’s just a few couples or half my contact list, nothing puts a smile on my face like sharing food and drink with friends. My favorite “night out” is not at a restaurant, but rather outside at home manning the grills. Entertaining hungry guests takes some work, but it is always worth the effort and this summer has certainly been no different. Kids are picky eaters. Thankfully, and not really surprising, I never had this problem. While I know a lot of young ones who do enjoy gnawing on a rib, I know a lot more who love pizza. If you want to ensure there is something for everybody on your next grill out, pizza should be on the menu and most importantly, on the grill. Involving guests in the pizza making process helps take the work off you. Couple this by using a good quality store bought pizza dough, and your job went from cook to conductor. 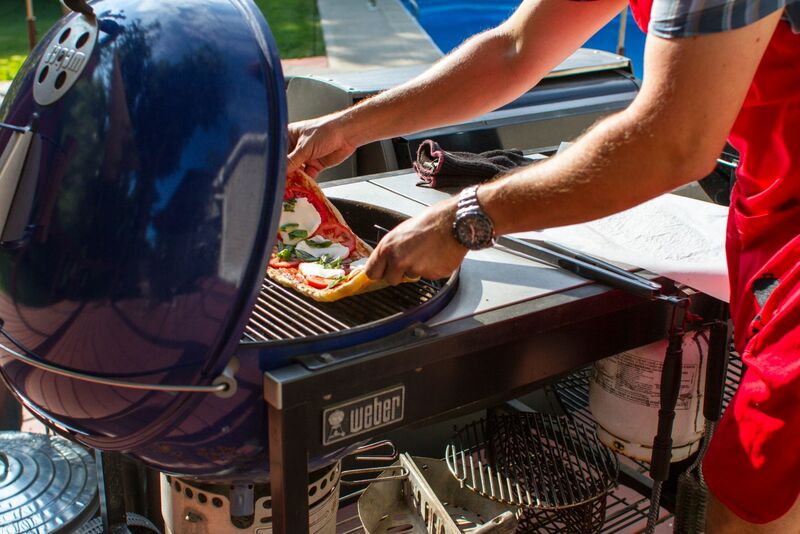 Set out a number of toppings and have guests make their own pizzas that you grill. Don’t have a pizza stone? You don’t need one. Pizzas directly on the grates are even better. Time is a huge factor when entertaining. Anything I can do to minimize prep or plating is a big advantage. By grilling food on a wood plank, not only do I have a fairly forgiving meal to put on the grill, it is instantly ready for serving when done cooking. Planks make for great appetizers. 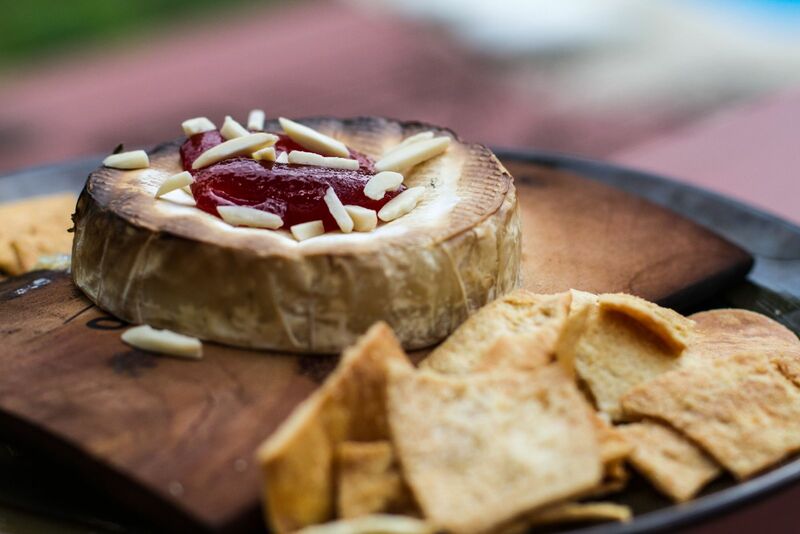 Camembert and Brie are fragrant and warm after just 15 minutes on the grill. Pepperdews stuffed with goat cheese are pop in your mouth delectable. I never make enough. Chicken wings are not only spicy but infused with a wonderful smokiness from the plank. Simple and Delicious. I know the time of night perfectly. Dinner is done, the beer is still pouring, and someone asks, “hmmm, anything else to eat?” They want dessert. This is not time to run back into the house looking to scrounge something up. On the contrary, it is the whole reason I kept the grills fired up in the first place. Nothing is better as the night air turns cool than a hot grilled dessert. My go-to dish is stuffed banana boats. Take a banana, cut a slit in it, and fill it with marshmallow, chocolate, nuts, or whatever suits your fancy. Grill it indirect for 10-15 minutes and grab a spoon. You thought your friends liked pizza. Wait till they try these. 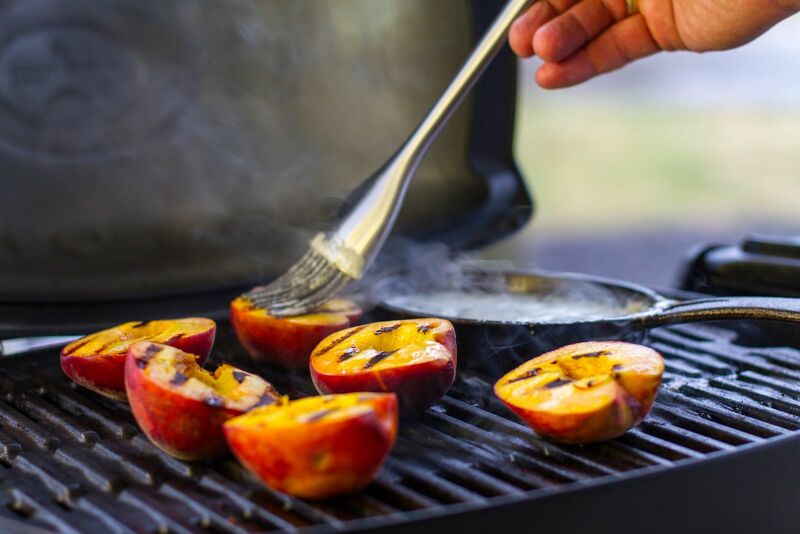 For something equally good, try fresh grilled peaches with fresh mascarpone or grilled apples with cinnamon and honey. There are no limits. If you have a summer BBQ planned, keep with the standards, but add in something different. Your grill and guests will thank you.